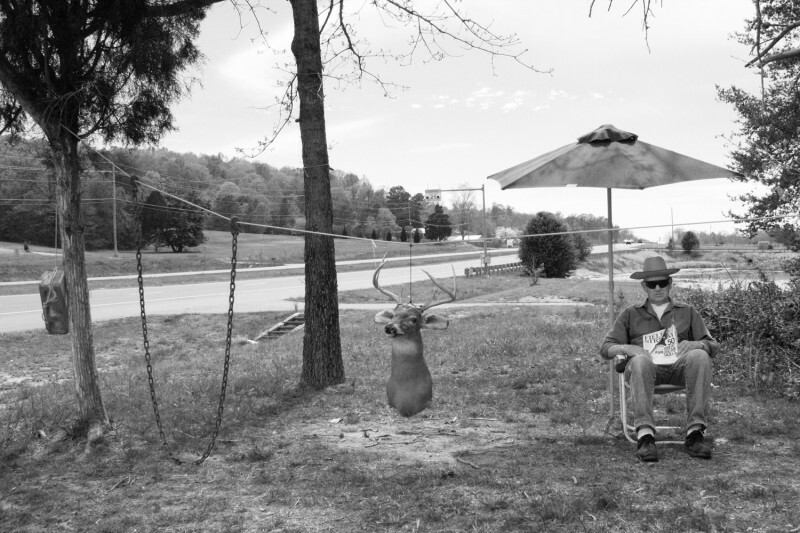 The image, entitled “Anonymous Man”, was shot in southeastern Tennessee. It was taken spontaneously, without an enormous amount of preparation. I discovered the subject exactly as he appears, selling his wares alongside the highway. There were very few words spoken between us; I simply motioned with my camera, and he graciously tolerated the intrusion. This photograph weds traditional black and white photography, and my own inclination toward darkly humorous Americana. Rowan James is a photographer currently living in Tennessee. He received a B.A. from the University of Michigan-Dearborn, and an M.A. in Photography from the Savannah College of Art and Design. His new body of work is a comprehensive study of the American South. Rowan’s photographs have been exhibited across the country including San Francisco, Atlanta, Minneapolis, Chicago, and New York.